Traveling across the tundra, prayers of thanksgiving hover on my lips. You tower above glacial streams, fiddle heads, cranberry bogs, and mountain peaks. Athabaskans understand. You are the High One. Within your gaze, grizzlies roam. Caribou, Dall sheep, moose and marmots too. Gleaming sun and star scrim skies light your view. Oh Denali, you stand tall. Guardian of this hallowed land. 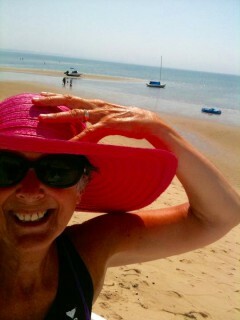 Written for Day 1 of a 21 day challenge online course with my poetry mentor, Holly Wren Spaulding. Prompt: write a prose poem that includes an animal. 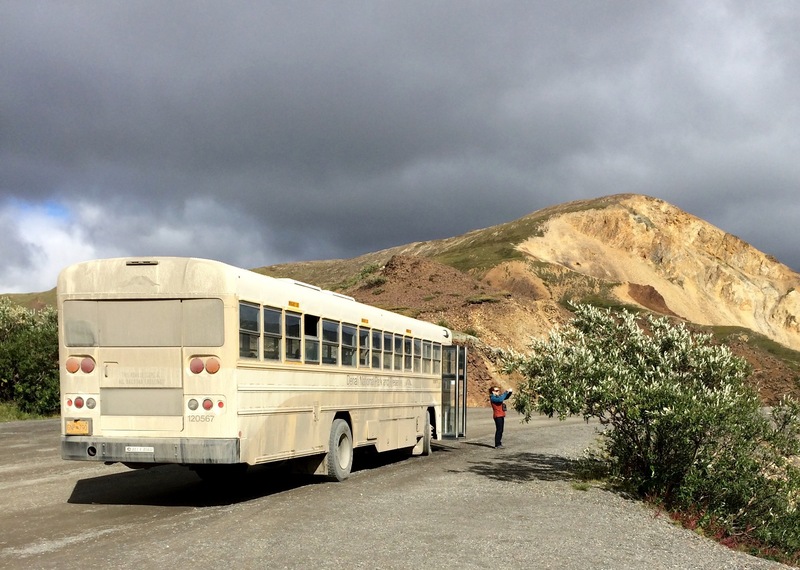 Photo from our trip to Alaska that included the Denali National Park’s 12 hour Kantishna tour. At the time, this was officially Mount McKinley, but was always called Denali by Alaskans. 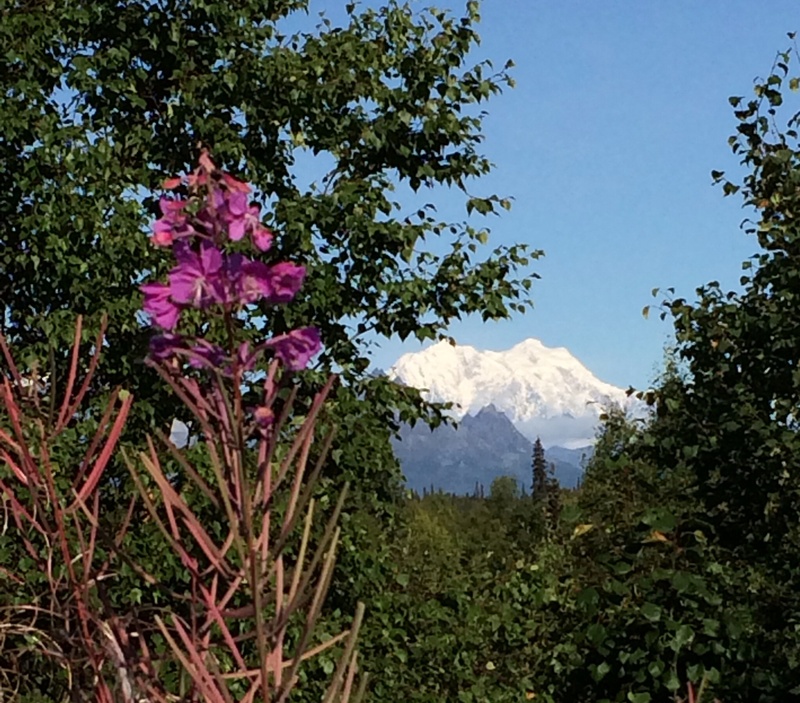 One month after we returned home, by executive order, President Obama officially renamed Mount McKinley, Denali. off the beaten track. No lookin’ back. Twenty-six claims staked and panned. Never hit it rich the way we define it. and Fannie Quigley. One tough broad. Slung back whiskey and cussed with ‘em all. she took no train but her own. Written for NaPoWriMo 2016 Day 5 and dVerse Pub for Poets where Bjorn suggests we use the idea of railroad/trains for a poem today. 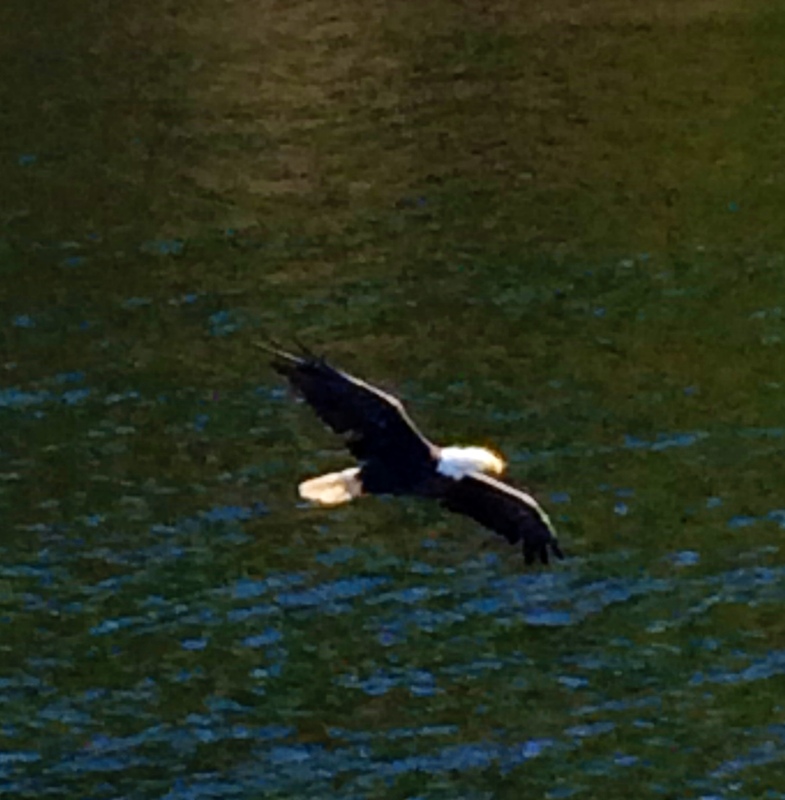 Photo Credits: from our Alaska trip last year. We visited the remote cabin of Fannie Quigley. sole presence in vast sky. stark contrast to sea serenity. return to nest, the conqueror. to the ruler of the sky. 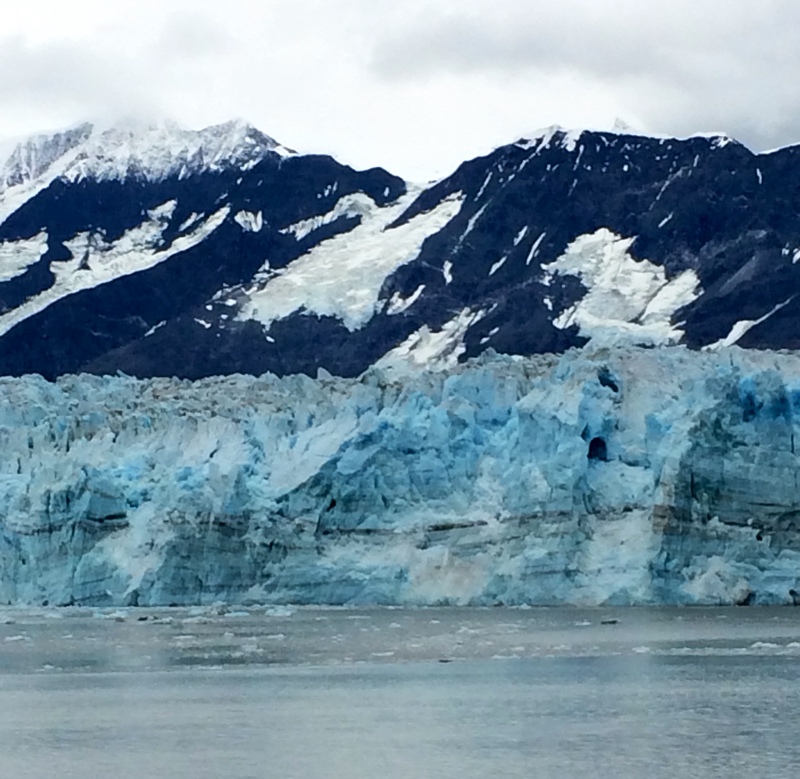 Photos: from recent Alaska trip. Apologies they are not better….taken on cell phone. 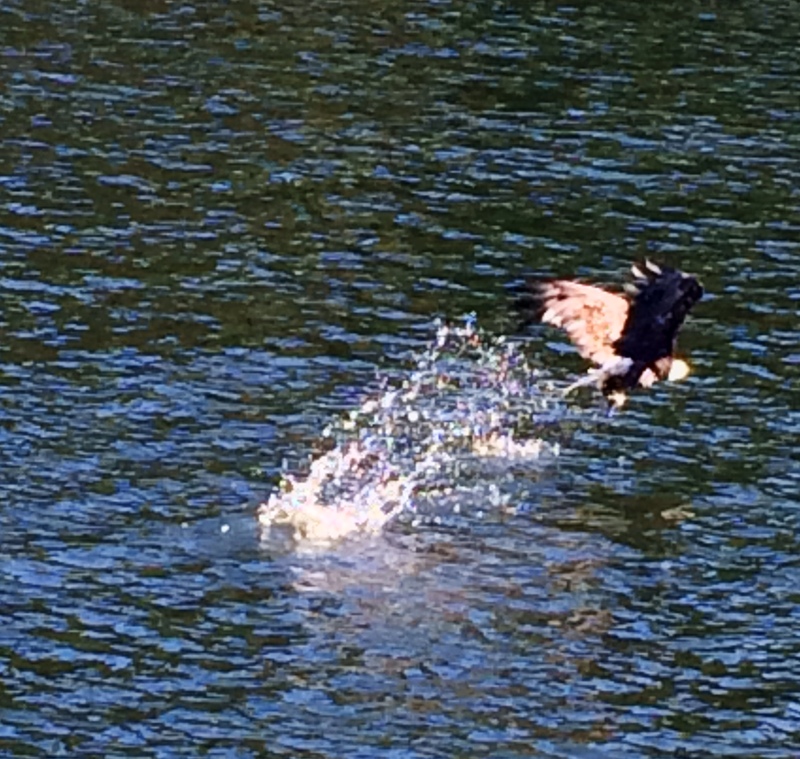 Eagle was magnificent! sustenance for a long winter’s sleep. wee squatters on protected land. of this great mother called earth. 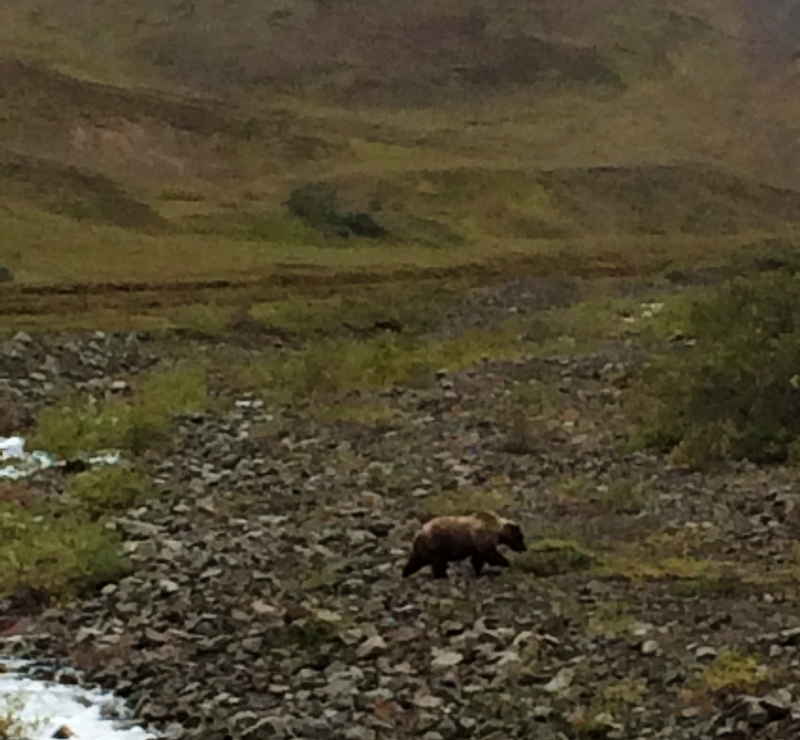 Amazing and magnificent creatures seen in Denali National Park. over hundreds, nay thousands, of years? those dark monoliths of eternity. between boundaries of sky and sea. decades of life dwarfed in age and size. looking backward as our ship retreats. in the eons of time. 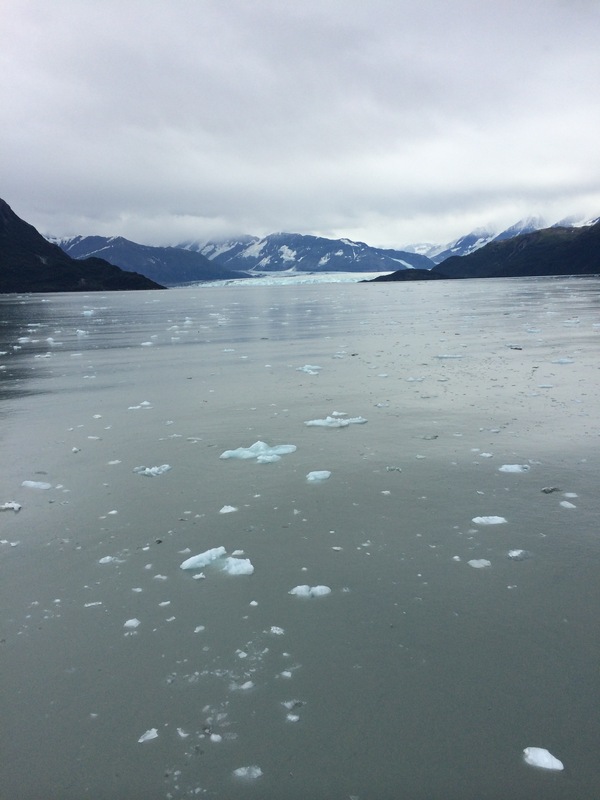 Top two photos from aboard our ship, very very close to Hubbard Glacier. 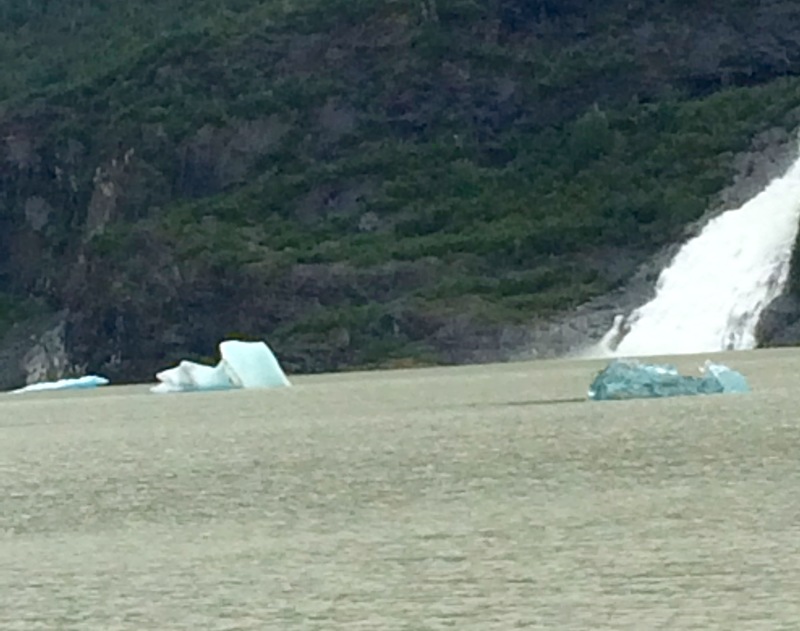 We had to move through an ice field from its “calving” — to get close this close — and we were privileged to see it calve — drop a huge mantle of ice with a thunderous sound!!! Mendenhall Glacier near Juneau.Notes below. 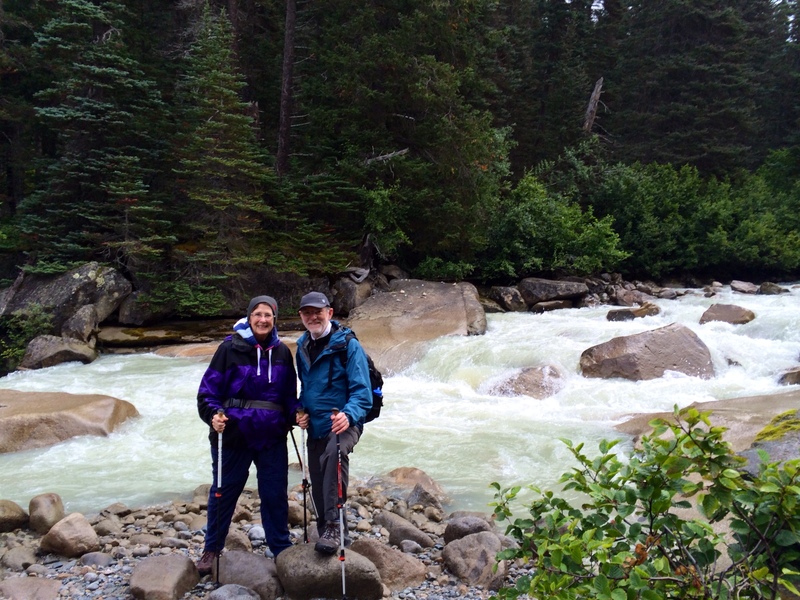 Almost to the toe of Laughton near Skagway. Laughton’s ice shelf. Melting into glacial stream. Us on hike back down. Notes below. 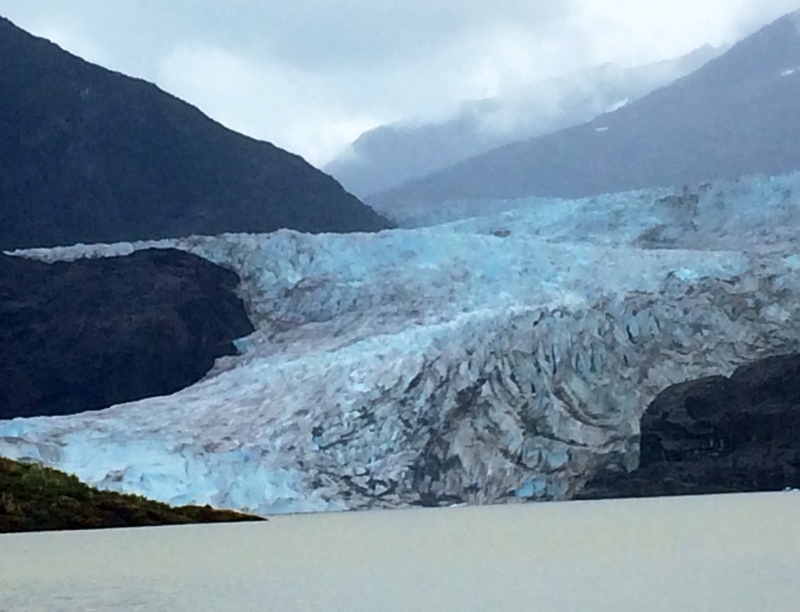 Mendenhall Glacier near Juneau. 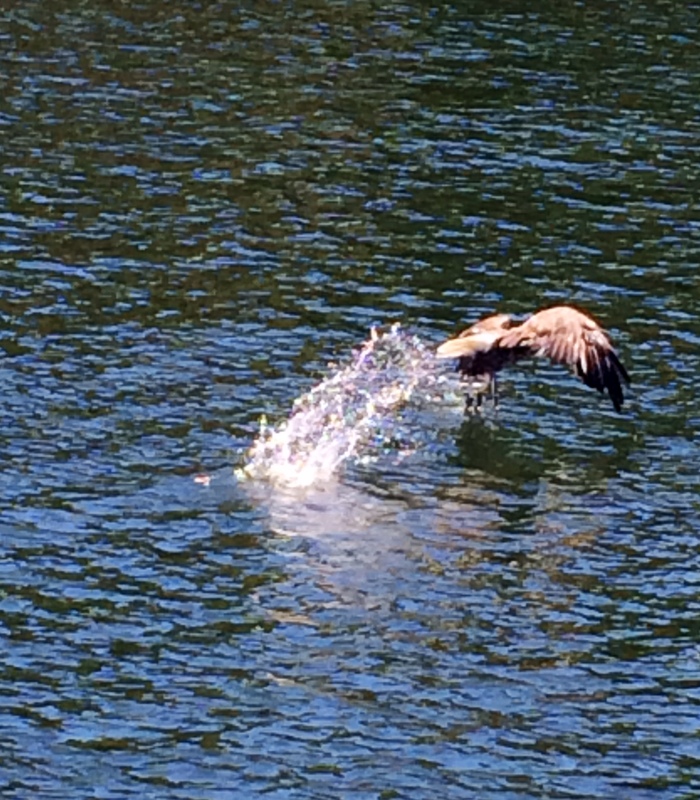 We hiked to a beach where we could look across a lake and see this magnificent site. 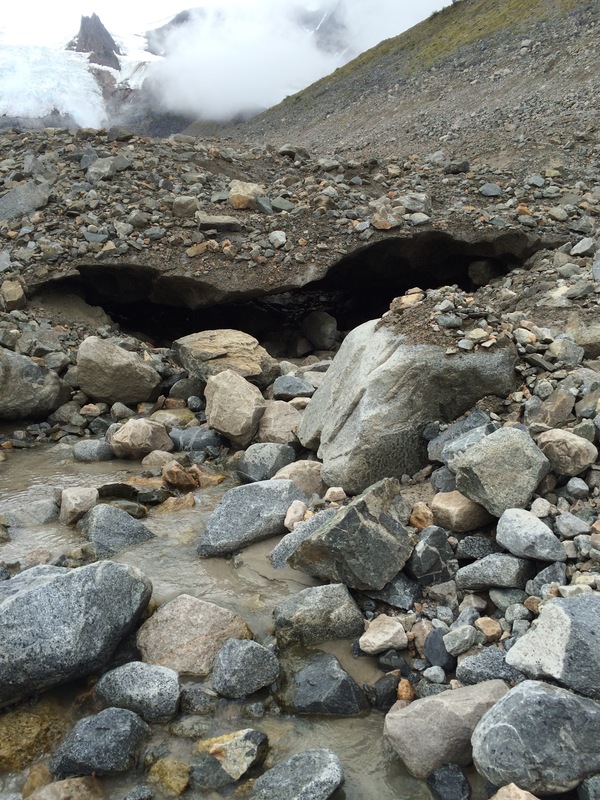 Next are photos of our hike all the way up to the “toe” of the Laughton Glacier near Skagway. 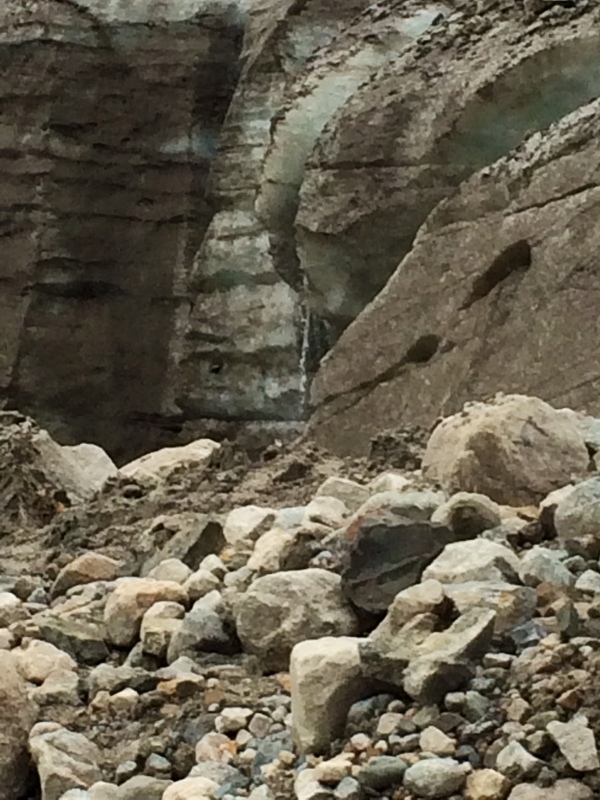 We are standing by a glacier runoff stream — the sound alone was wondrous. 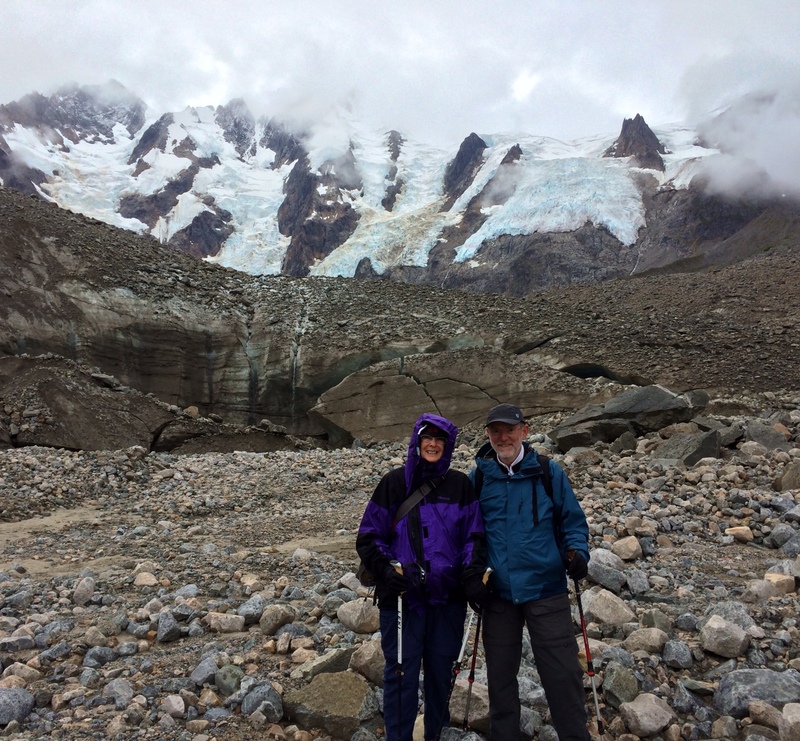 Others are of us standing on the toe — incredible that we made it this high — right next to the glacier….you’ll see the ice shelf, crack in the ice. Truly an amazing hike — exhausting but exhilarating! We climbed through woods, then over fields of rocks and boulders to get here. 11 miles round trip to Laughton. 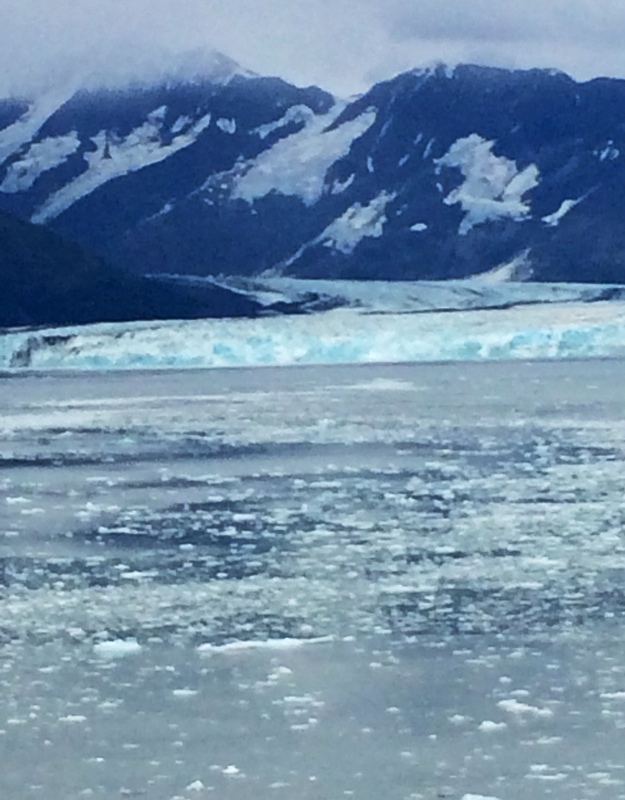 Alaska: trip of a lifetime!